Why Was the Assyrian Name Omitted from Slate 204? One million books, 10 million documents, and 14,000 archaeological artifacts have been lost in the U.S.-led invasion and subsequent occupation of Iraq – the biggest cultural disaster since the descendants of Genghis Khan destroyed Baghdad in 1258, according to the Venezuelan writer Fernando Báez. In addition, he has been barred from returning to Iraq "to carry out further investigations," he added. "But it's too late, because we already have documents, footage and photos that in time will serve as evidence of the atrocities committed," said Báez, the author of The Cultural Destruction of Iraq and A Universal History of the Destruction of Books, which were published in Spanish. FB: But the U.S. Army was criminally negligent, failing to protect libraries, museums, and archaeological sites despite clear warnings from UNESCO [the UN Educational, Scientific and Cultural Organization], the UN, the University of Chicago's Oriental Institute, and the former head of the U.S. president's Advisory Committee on Cultural Property, Martin Sullivan. FB: Not only that. There was also direct destruction and looting. In Nasiriya in May 2004, a year after the formal end of hostilities, during fighting with (Shi'ite cleric) Moqtada el-Sadr's militants, 40,000 religious manuscripts were destroyed in a fire [set by the coalition forces]. FB: That's right. In late May 2004, Italian Carabinieri were caught trying to smuggle looted cultural artifacts over the border into Kuwait. And the British Museum reported that Polish forces destroyed part of Babylon's ancient ruins, to the south of Baghdad. In the days of the looting of Baghdad, U.S. Defense Secretary Donald Rumsfeld went so far as to say that looting "isn't something that someone allows or doesn't allow. It's something that happens." Today Iraq is like a golf course for the world's terrorists, and its cultural treasures will not be safe in the future. FB: No, actually I don't. I believe intellectuals are the worst enemies. Intellectuals have burnt books in the name of the Bible or the Koran. Vladimir Nabokov [1899-1977] burnt El Quixote in front of his students. Destroyers like Adolph Hitler or Slobodan Milosevic were bibliophiles. Saddam Hussein himself, an archaeologist and philologist, published three novels. Joseph Goebbels, the genius of Nazi propaganda, was a philologist. (ZNDA: Baghdad) On 28 January, unidentified kidnappers abducted Mr. Minas Ibrahim al-Yousifi, head of the Christian Democratic Party in Iraq. Mr. Al-Yousifi was traveling in a taxicab from Baghdad to his party headquarters in Mosul, where he also lives. Minas Ibrahim al-Yousifi was abducted two weeks ago in Baghdad. Mr. al-Yousifi is a member of the Chaldean Catholic Church. The Chaldean Church has pleaded with the kidnappers for his release. In a telephone call to his family in Sweden on 13 February, the kidnapers demanded four million dollars as ransom and a scheduled date for the departure of the American forces from Iraq. They asked that the American forces be replaced by the United Nations forces. Kidnappers also demanded that the money be left at the Vatican embassy in Baghdad. The family in Sweden had once before been contacted on 6 February 6. The Swedish Foreign Ministry was immediately informed. 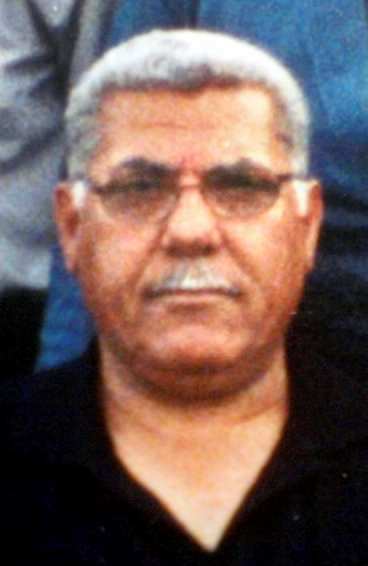 Mr. al-Yousifi lived in Sweden for 20 years before he returned to Iraq after the fall of Saddam Hussein. The Christian Democratic Party was one of the organizations that refused to participate in the Iraqi elections and had demanded he departure of the American troops from Iraq. Avin al-Yousifi, the son of the victim, told on Monday that his 60-year-old father could be beheaded if CIA or Interpol became involved. The family lives in Jonkoping in southern Sweden. The kidnappers, who call themselves "The Martyr Al Isawy Brigades," also demanded that Sweden's King to take part in negotiations for the freedom of Mr. Yousifi. Mr. Yousifi's children in Jonkoping, Sweden. On 13 July 2003, in an interview with al-Jazeera Arabic TV, Mr. Yousifi claimed that the Christian Democratic Party was an umbrella for all the Iraqi Christians. He added that there was no difference between Christians and Moslem, or between Kurds, Chaldeans or Assyrians. He also commented that Iraqis differ solely through their stand and actions as Iraqi citizens. The Christian Democratic Party rejects the representation of all Christians in Mosul or Iraq for that matter, by the Assyrian Democratic Movement (ADM). 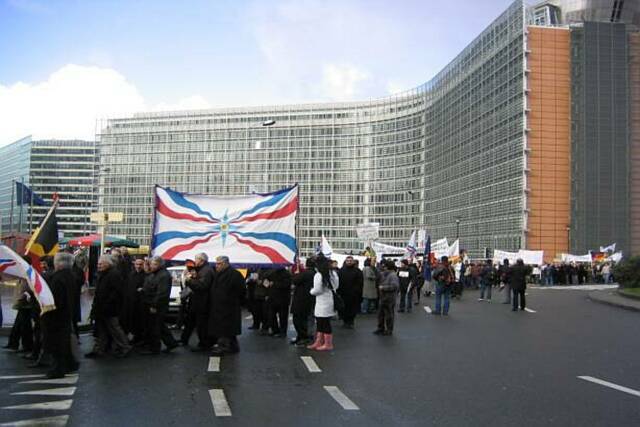 (ZNDA: Brussels) A group of ChaldoAssyrians demonstrated with flags and banners in front of European Commission headquarters in Brussels, on Monday. 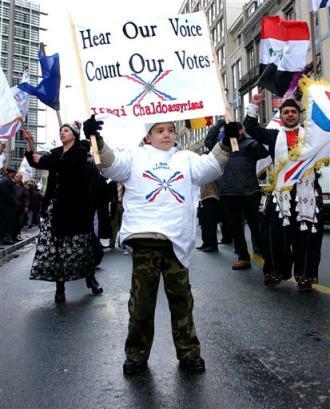 ChaldoAssyrians, in several cities across the world on Monday, demonstrated against what they believe are voting irregularities during the recent Iraqi elections. 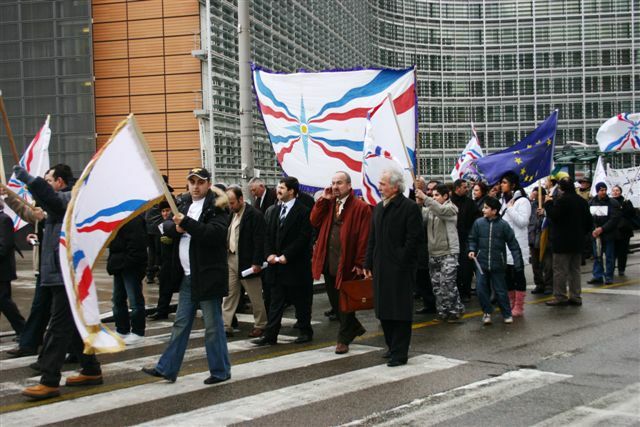 Several ChaldoAssyrian organizations organized a large-scale demonstration in Brussels. This Europe-wide political action found a strong resonance, as over 1,000 participants rallied from Guetersloh/Paderborn, Wiesbaden, Augsburg/Munich in Germany, as well as from the Netherlands and France and began demonstrations at precisely 1 PM. The demonstration moved along Rue Archimedes – Rond POINT Schuman – Rue Froissart – Rue Juste Lipse onto the Place Jean Rey, in front of the European parliament. Speeches in several languages were presented to the gathered crowd. Speakers included George Chachan (French), Melikan Kucam (Dutch), Abboud Zeitoune (German) and Lazar Sana (Arab). In their speeches they expressed the ChaldoAssyrain people's dissatisfaction with the conduct of the Iraqi elections in the Nineveh Plains. Mr. Jonas Sjoestedt, a member in the Konfoederalen parliamentary group of the European parliament addressed two current issues of political significance to the Assyrian organizations. These included the possible entry of Turkey in the European Union. He emphasized that such a move must accompany the full recognition of the Seyfo Genocide of 1915. The second issue is the situation in Iraq. He wished that in the next elections there would be a better possibility for general participation and that more rights and guarantees be given to the ChaldoAssyrian people. Mr. Willy Fautre of the Human Rights Without Borders explained the necessity for granting democratic rights for the ChaldoAssyrian people in Iraq. He commented that the ChaldoAssyrians' demands in the new Iraq are legitimate. A few representatives from the Churches were at hand also. Rev. Semun Bagandi from Delbrueck affirmed the importance of the churches in the context of a nation and wished much success for the political leadership in reaching their goals. Mr. Ishak Younadem from Wiesbaden, Germany spoke on behalf of the Church of the East and wished people strength and co-operation in these times. After conclusion of the demonstration a group of five delegates met with the Deputy President of the Parliament as well as with all leaders of the Parliamentary groups in the European Parliament. A dossier was presented to the officials in the European Parliament to better describe the current conditions in Iraq and the requests of the ChaldoAssyrians in that country. 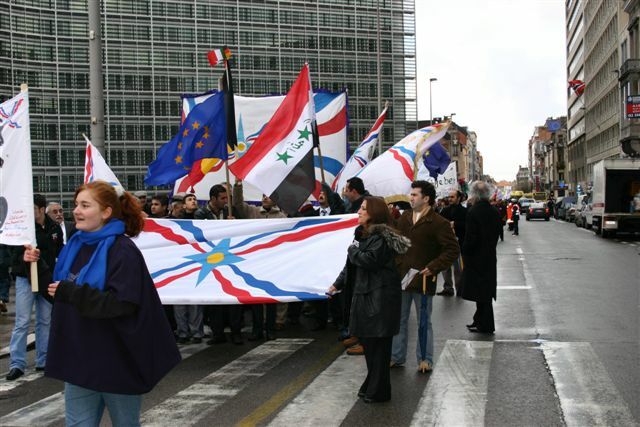 The ChaldoAssyrian Syriac Christian community resident in the European countries (approx. 350,000 originating from Turkey, Iraq, Syria and Iran) demonstrating today against yet another injustice perpetrated against them, as indigenous people of Iraq, during the historic elections that took place on 30th January 2005. With today’s demonstration we are underlining our solidarity for the tens of thousands of voters from ChaldoAssyrian cities and villages in the Nineveh Plains who were hindered to vote and appeal herewith to your honourable organisation for urgent support. In the Nineveh Plains, specifically in the districts of Al-Hamdaniya (Qaraqosh-Baghdeda), Karamlesh, Bartilla, Bashiqa, Bahzani and the district of Al-Shikhan (Ain-Safni), our people were prevented from exercising their newly-found democratic voting right due to the total absence and/or limited availability of ballot-boxes, voting forms and presence of election officials. In addition, several other serious voting irregularities occurred in other towns in the Nineveh Plains: In Tel-Kepe, Alqosh, Telesqof, Batnaya and other neighbouring villages, many thousands of ChaldoAssyrians were unable to vote due to insufficient ballot-papers. Ironically, whereas the majority of our people, particularly in Baghdad and Mosul, where they have been specifically targeted by serious attacks, killings, kidnapping, bombing of their churches in the recent past and intimidated were unable to vote due to security concerns, those who were willing to participate by voting in the Nineveh Plains were ostracized. Although numerous official complaints were lodged to various authorities on the day of the election, including the Independent Electoral Commission of Iraq (IECI), and despite the fact that these authorities assured our people of the commitment to resolve the problems, it is unfortunate and totally unacceptable that the scandal still remains outstanding. "…the Commission will examine all transgressions hereby mentioned, will separately take measures necessary for each irregularity and will inform the Iraqi opinion of the results of these investigations as quickly as possible"
Despite this confirmation, hitherto no practical solution has been adopted in order to resolve the apparent discrimination against the indigenous ChaldoAssyrian Christians in the Nineveh Plains. It is probably worthwhile to mention that within the framework of a federal Iraq, the region of Nineveh Plains represent to the majority of the ChaldoAssyrian political parties an autonomous administrative area according to article 53d of the Transitional Administrative Law (TAL). The fact that more than 150,000 ChaldoAssyrians, Yezidis, Shabaks, and Turkomens were excluded from voting underlines the existence of a malicious plan to marginalize their representation in the new Iraqi National Assembly. 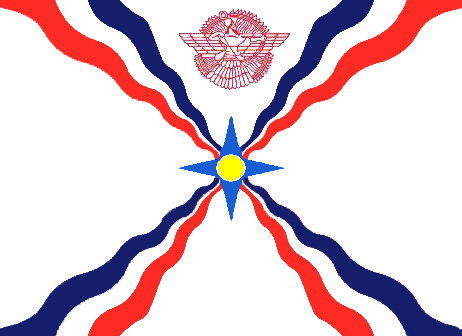 Furthermore and according to reports from the Assyrian International News Agency (AINA) the exclusion of these 150,000 eligible voters was done deliberately and through involvement by the main Kurdish parties in an attempt to undermine independent representation of non-Kurdish minorities in these elections. The ChaldoAssyrian syriacs worldwide supported the liberation of Iraq from tyranny which put an end to the injustices inflicted by the former barbaric regime upon Iraq’s mosaic of ethnicities. We painfully now discover that there are malicious plans launched aiming at the exclusion of any possible, free and independent representation of ChaldoAssyrians Christians in the coming Iraqi National Assembly and Northern Iraqi Parliament. On behalf of our ChaldoAssyrian people in Iraq and worldwide, we ask the European Parliament to intervene and redress the blatant transgressions against our people of the Nineveh Plains. 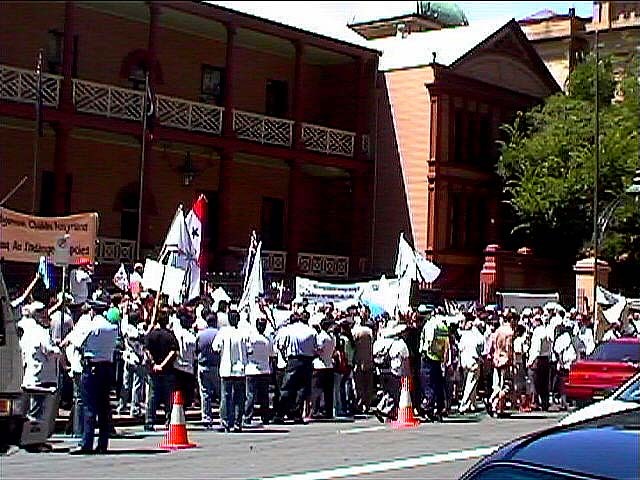 (ZNDA: Sydney) Some 200 Assyrians in Sydney joined in a demonstration outside the American Consulate and State Parliament on Monday. Secretary of the Assyrian Universal Alliance's Australia Chapter, Mr. Hermiz Shahen of Bossley Park, said the alliance is horrified of news their countrymen have were prevented by Kurdish forces from voting in the Iraqi election. The alliance has set up a petition urging the Federal Government to call on the Iraqi Government to designate a geographic `Protected Administrative Area' for the Christian Assyrians, Chaldeans, Syriacs and Mandeans in Iraq. Many local Assyrians jumped at their first chance to vote in the transitional national assembly out-of-country election in Fairfield on January 16. Exiles were voting for 275 members to be elected to the National Parliament and officers elected to the National Parliament and officers elected to the district councils in the 18 provinces of Iraq. In Australia and New Zealand, the Assyrian Democratic Movement, the leading party of the Alrafidayne National List, led the results. But Mr Shahen is fearing the worst. He said the Iraqi Government has made no attempt to acknowledge, investigate, or punish officials in the north (a Kurdish controlled region) and in around Baghdad and Mosul, for preventing Christians from voting. Federal MP for Prospect, Chris Bowen, will table the petition in Parliament. Below is the letter presented to at the US consulate in Sydney, addressed to the President of the United States George W. Bush. The same letter was presented at the NSW State Parliament, addressed to the Australian Prime Minister John Howard. We, the ChaldoAssyrian community of Australia, would like to voice our concern regarding the recent election in Iraq, which has prematurely been hailed as a resounding success in bringing democracy to Iraq. In this regard we would like to highlight the exclusion of an electorate of nearly 200,000 voters in the Nineveh Plains in Northern Iraq, and the questionable voting processes which led to this exclusion. We maintain that the omission of this electorate was a deliberate act. The Iraqi elections have thus disenfranchised the ChaldoAssyrian community. Hundreds of thousands of ChaldoAssyrians were deliberately blocked from exercising their democratic privilege to vote and, hence to secure recognition and representation in the new democratic Iraqi government. As the indigenous population of Iraq, ChaldoAssyrians have suffered persecution, oppression and repeated attempts at genocide in its various forms. The ChaldoAssyrians comprise approximately 5% of the total Iraqi population, a large proportion of whom reside in the northern towns that were prevented from taking part in the election. Their prevention from voting and being represented in the new democratic government amounts to political genocide. It denies them representation, recognition and rights as citizens of Iraq in the new constitution. Mr Stephen Pound MP in his address to the Parliament of the United Kingdom in December 2004 stressed that unlike the Kurds and the Arabs in Iraq, the ChaldoAssyrians are highly vulnerable and under siege. There is a real and genuine possibility that this community in Iraq will be reduced to a tiny remnant. The Independent Electoral Commission of Iraq (IECI) is the official body responsible for ensuring the prompt delivery of ballot papers, boxes and voting materials to all polling stations throughout the country. We maintain that the IECI have failed in their fundamental duty and function to act independently and without bias in ensuring that all Iraqi citizens are equally afforded the opportunity to vote. We also maintain that in addition to the omission of the ChaldoAssyrian electorate, the outcome of the election is further undermined by irregularities including massive scale stacking, registration of ineligible voters and more importantly the failure to deliver ballot boxes and materials to various voting centres. Due to the unreliable conduct of the IECI, we reject the findings of their subsequent investigation of this issue. We hold that the exclusion of the ChaldoAssyrian community was deliberate and call upon the US and Australian Governments to conduct an independent investigation into the alleged voting irregularities. From the outset, the governments of Australia, the United States and the United Kingdom have stressed their commitment to establishing a true democracy in Iraq. In keeping with this commitment, we respectfully ask that you take the necessary steps to rectify this situation and ensure that the ChaldoAssyrian population of Iraq are finally afforded political recognition, security and rights as citizens of Iraq. The Assyrian Academic Societ is credited with organizing various cultural and education events at local and national Assyrian events. Recently, the AAS members assisted in the local Iraqi elections registrations in Chicago. For more information on the AAS activities and membership click here. (ZNDA: Provo) This publication contains electronic facsimiles of 33 Syriac manuscripts from the collection of the Vatican Library. Through a simple interface the user is able to gain access to each of these manuscripts in Adobe® PDF format. All of the images in this collection are copyrighted by the Bibliotheca Apostolica Vaticana (BAV). No images may be reproduced in whole or in part without express permission from the copyright holder. 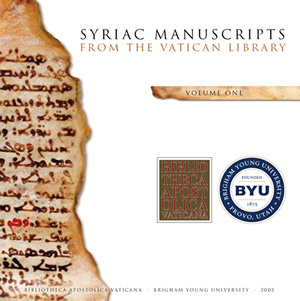 In 1999 Bishop Mar Bawai Soro of the Assyrian Church of the East began discussion with the Vatican Library to make their Syriac collections more accessible both to scholars as well as to the communities who produced these texts. Mar Bawai approached Brigham Young University to be a partner in the project. The idea of a pilot project was formulated by the parties and an initial collection of 33 manuscripts were selected from a fuller list prepared by Dr. Sebastian Brock (Oxford University). The manuscript photography was undertaken in two phases, one in June 2000 and another in April 2002. In 2004 a few speakers, including Mar Bawai, gave lectures on Christianity in the Middle East. To view His Grace's lecture click here (Quicktime 6 required). For a complete review of the Syriac Manuscripts DVD see Kristian Heal of Brigham Young Univesity's review in the latest issue of Hugoye Magazine: click here. Price: $39.95 To purchase your copy click here. Your article “The Struggle of Iraq's Christian Assyrians” by Nuri Kino is shocking evidence and needs no more words to say. I just wonder whether this article reached somewhere beyond Zinda. I also hope that we pursue such atrocities and make sure they reach the highest authorities around the world. At the least we should have a copy of this DVD on the desk of UN Secretary General, US Capitol Hill and EU Congress. I just hope someone; somewhere; somehow is doing something to bring the suffering of this nation to an end! Thank you for your genuine efforts in publishing these atrocities and bring them to the people attention. I would like to congratulate all of the Assyrian organizations and self-appointed leaders for dragging the Assyrian nation into this mass confusion in this crucial time of Iraq rebuilding its government. It seems that every group in Iraq knows what they want and the steps to take, but the Assyrians are oblivious of their sacred duties. Assyrians did not get anything out of the vote and all the more discouraging, the Assyrian name was not mentioned once in the news of what they want. One can only think that there are only two reasons for this idiotic lack of movement, either we don’t have adequate political people or that the elements are against us, either way we should not be in this predicament. Is it that we have no place in this jigsaw puzzle and are just fooling ourselves? It is not that I am not happy about what is going on in Iraq, I commend the people that want to bring democracy there. The thing I don’t comprehend is if 95% of Iraq is Muslim and more specifically 60% is Shiite Muslim, how is there going to be any democracy for the Assyrians? They would not let us vote, if they only had the power they might try to massacre us again in an attempt to finally eradicate our people. As for the polling places and our right to vote, Assyrians had the right to vote wherever they live. Assyrians didn’t leave everything behind because they wanted to; they were forced out and proper accommodations should have been made so that displaced Assyrians could have their voices heard. We left everything behind because we feared for our lives and should be entitled to reparations by the new Iraqi government for displacing the majority of our peoples. I am an Assyrian Christian, not and Iraqi Muslim. I don’t want to be known as Iraqi Assyrian, only as Assyrian... nothing more and nothing less. I may seem a bit pessimistic, but I just don’t see how I fit in this picture of Iraqi democracy. To live in Iraq under these conditions would make us abide by Islamic law and allow us to always be treated as second-class citizens, just as we are in all other Islamic countries. We are always going to be analogous to the American Indian in Iraq and very soon we will all speak Arabic and practice Islam. To save the Assyrian nation and ourselves we should be asking for Assyrian independence or some kind of autonomous state in the region of our ancestors land. I don’t think we will offend anyone with our just case, if not we should leave the region in protest, and hope God have mercy on the Assyrian’s souls. Immediately after the fall of Baghdad I organized a group of our young people to do a demonstration in front of the Palestine Hotel in downtown Baghdad. At that time it was the headquarters of the US and every group in Iraq was staging a demonstration. We made a huge poster which said "Independence For Assyria". All the other groups were saying similar things. We got ready to go down with a number of large Assyrian Flags and the "powers that be" in the Assyrian Community stopped us. "You cant say that!" they said. I hadnt learned yet how totally lacking in courage the leadership was so asked why. "We cant ask for that now - the time will come . . ."
So we went back and made another sign which said "Protect The Rights Of The Assyrian Christians." We went back to get the young people to take them down. "What, I said? What in the world is wrong with that??? "You need to say "Protect The Rights Of All Iraqis"
Disgusted at the lack of courage just days following the fall of Baghdad it was my first experience with "wimps". We took the kids down and did the demonstration with both posters and flags much to the anger of the "powers that be"! I ask you, would you stand all day in the hot sun with a poster that said "Protect The Rights of All Iraqis?" When we did a demonstration in London late last year and New York last week what do you think everyone shouted? "Protect the rights of all Iraqis"? Iraqi Flags? No way! The only flag allowed, of course was the Assyrian Flag and the only Chant as loud as we could in both London and New York was "Independence For Assyria"
Well, it seems like they are still doing it! I was shocked to receive word of demonstrations of Assyrians in various capitals under the Iraqi flag which in the middle says "Allah Akhbar" - God I Great . . . and not "our" God! 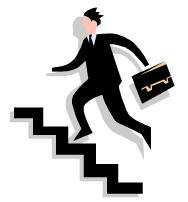 Want to motivate people and start a movement? That is the way NOT to! People do not rise up to the challenge with such cowardice! I remind myself every day the wonderful words in the movie "Braveheart" "People do not follow title . . . they follow courage!" People do not follow elected officials, organizations or groups . . they follow courage and it seems the common people have more courage than their erstwhile leaders! I am a regular reader of Zinda Magazine and I would say that in general, the articles are unbiased and maybe that is why I keep coming back twice a week. Recently however while most news coming from Iraq was associating the General Secretary of ADM with the former regime, I did not see a single story on this issue, not even a commentary by Mr. Fred Aprim or Zinda Editor(s). I was born in Iran and so was my father so I didn’t qualify to vote but honestly how is a slate that doesn’t even carry the Assyrian name, is going to protect it? Our self-proclaimed nationalist has declared a smear war on anything and everything that he chooses not to agree with. In the Assyrian political arena, which is just emerging on a much wider national scale than before 1920s, one has to be a touch more careful than to arbitrarily burn anything beyond his only village. We all want to know about the bad seed within us but not just on say so. This model was sown in this nation in the past. Today, it is not acceptable. Reason being with so much information we can make up our own minds about national matters. In national matters, solid and undisputable proof is mandatory. Anything based on personal opinions is to be taken with a grain of salt and person(s) propagating this kind of information are not to be trusted in reciting our history. By showing us his lack of thoughtfulness and hatred at every turn I find it impossible to trust Mr. Aprim’s objectivity in telling me whom I should vote for and whom I should not. Keeping our history accounts or offering an article as analysis should not be in the form of a personal opinion. When reading analysis, in this case about, the 2005 Iraqi elections I do not want to read threats and curses (see “Final words”). I want to understand what went on and why. As analysis no other kind will do. Otherwise, call it an opinion of one single person. I have had a few runs at this with Mr. Aprim. I do not object to something that is supported either by solid documents or even by seeing the results some 80 years later. As most of us know, in 1920s, the late malik Khoshaba stood shoulder to shoulder, if not higher, with the then leaders of this nation and he, to a great extent was very influential and with a great number of followers and it would seem he never backed away from standing up to khaton Surma and/or the advisors to the late Mar Eshai Shimon. I do not want to dwell on this. There are many books that we can read about this era. The reader should judge for himself/herself. In 1920s we were offered all the rights that we are seeking now (if not more). However, someone had to get over the notion of having two “Rulers” in the same country. Had cooler heads prevailed we would not have had a massacre, an exiled Patriarch and a marginalized nation. I am convinced of that. Most of us and out of respect for our martyrs and the late Patriarch’s person and his “Darkha” we tend to shy away from mentioning that he could have been wrong in assessing the situation and in reading the political climate of the 1920 including his own people. Even now, we always end up blaming one another. The British were not in favor of Assyrians. The French couldn’t care less. King Faisal the first was on shaky grounds himself. I guess it is easier to blame some Assyrian who happens to be more aware of the situation than the rest. I want to know who was the major force behind the late Mar Shimon’s strength. Whether Mr. Aprim admits or not it was malik Khoshaba. This man emerged as a leader of a most courageous band of fighters. History shows that he and his people fought and died for this nation and the other mark of a leader is that he was not afraid to refuse bad decisions. For the sake of protecting the well being of his people he stood his grounds and that is what got him in the bad books of those that demanded total obedience. Is there anything wrong for a person to stand up to what he/she believes in? Mr. Aprim does it all the time. I can almost predict his response. It will be sheer anger and more of the same mud slinging. In a previous article that he published in Zinda Magazine and AINA forums (I can hardly call it an article in that it was nothing more than cuts and pastes from the various books), he had ONLY pasted the things that would tilt and influence the reader to his designs and he had totally ignored OTHER quotes (from the same books) that would paint a different picture. Had he done that it would clearly show that not only malik Khoshaba made mistakes but the crucial and disastrous ones were made by Surma Khanim and ultimately by the late young Patriarch and his entourage. I do not need Mr. Aprim to tell me anything on this. I can read as well. It would seem that he blames malik Khoshaba and his son while others, in my opinion, blame the late Surma Khanim and those that were so unrealistically guiding a young Patriarch. Mr. Aprim needs to balance and temper his words. He cannot just pin the blame on one person. Now to his son the late malik Yousip. This man never believed nor officially acted as the leaders of all Assyrians in Iraq. On many occasions he was approached by the Iraqi officials to take decisions on behalf of the Assyrians in Iraq. On all occasion he was skilled enough to defuse these suggestion and demands. Please remember we are talking mostly in Saddam’s era and you can ask your self how many could have done that and live to see another day. If he was a government agent he would have to follow orders. Since the early 1980s there were many other political parties that emerged and became the guardians of the Assyrian affairs. Did he ever object to that? Mr. Aprim says he split the Church of the East. He did not split the church. It was the Church that split itself. The church adopted December 25th as the date for the Christmas Day. A good number of the traditional Assyrians could not understand why and they resisted this and to this day they still celebrate Christmas on January 7th. These people remained as they were before. They did not change. It was the other group that chose to change. Furthermore, he did not change the name of the Church from “Church of the east” to “The Holy Apostolic Assyrian Church of the East”. We were under the old name for approx. 1930 years. What was the urge to change that? The other issue is to do with choosing a Patriarch for this nation. Once again the tradition was to choose a new Patriarch by elections. This was a tradition followed for hundreds of years. However, this tradition was ignored for nearly 500 years when the Patriarchate stayed in the same blessed family. This is another reason why some Assyrians call themselves Chaldeans. This church splitting could have been resolved when Mar Dinkha was consecrated to succeed the late Mar Eshai Shimon. It was not the old calendar that refused the move. Who is stopping them now from uniting the Church? The man died in 2000. The worst reason is that people like Mr. Aprim will always and under the guise of nationalism make sure that this nation’s wound will never heal. Because every now and then they will poke and scratch until it bleeds again. Similarly, he would be very deceitful if he thinks that slate 204 does not bear some responsibility in our disunity today. How is this any different than 1920s? Other slates have followers and firm beliefs different than yours. Take slate 139 for instance; what should we do with these people? Should we just tell them that they are a bunch of worthless traitors and that slate 204 is the only choice? Think about how you should convince these people. They are just as Assyrian as you are. Now equate today with yesterday if you will. There are thousands and thousands of people that revere the late malik Khoshaba. Is this how you bring a nation together? This says a lot about Mr. Aprim's ego. In my opinion, he causes more division in our people than anyone I know. A great number of our nation sees the truth different than him and hindsight has shown that living inside our own homeland was a great decision made during that era. To remain in our ancestral homeland was a great and a visionary decision. The proof is in the results that we all see today. The Assyrians of Iraq have faired much better than anywhere else. Finally, I regret having to bring this issue at this time but I will not apologize for exposing the destructive attitude of individuals such as Mr. F. Aprim in calling for unity while propagating disunity. (ZNDA: New York) The Assyrian American National Federation (AANF) Eastern Region will demonstrate against the injustices perpetrated against the Assyrian people in Iraq and abroad, during the recent Iraqi elections. Place: United Nations, United Nations Plaza, New York City, NY. The modern Assyrians (include members of the Chaldean Catholic Church, the Church of the East, and the Syriac Orthodox and Catholic Churches plus Protestants) are the cultural decendents of the ancient Assyrians who have continuously inhabited Northern Iraq for over 7000 years. Since the inception of Iraq in 1932, the indigenous Assyrians have suffered terrible atrocities and uncountable injustices at the hands of Iraq's leaders, beginning with King Faisal, who in 1933 approved the slaughter of thousands of innocent Assyrian men, women and children in and around the village of Simele, in Northern Iraq. Under Saddam Hussein, entire Assyrian villages were destroyed, thousands murdered in horrific ways, and Assyrian women violated and abducted. 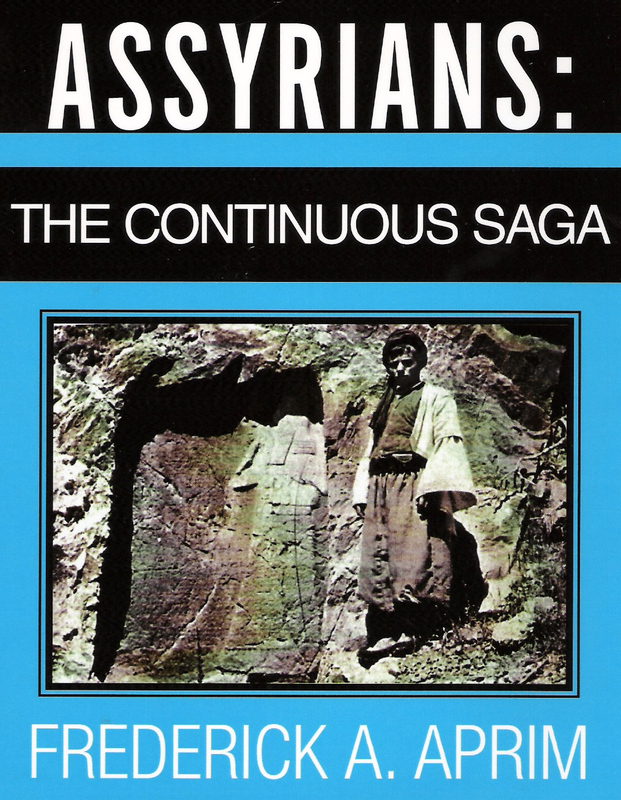 Assyrians were forced to register as either Arab or Kurd, prohibited from teaching their history and language, and barred from promoting their culture and heritage. In addition since August 1, 2004 Assyrian churches have been torched and bombed, church leaders threatened and kidnapped, and over 50,000 intimidated into exile. Without help, mass exodus may follow. The Kurdish Democratic Party’s (KDP) blockade of the Assyrian villages in the Nineveh plains prevented eligible Assyrians from voting in the recent Iraqi elections. Reports from Iraq have affirmed that under orders from the KDP, voting boxes and ballots were prevented from reaching Bakhdida, Bartilla, Karemlesh, Shekhan, Ain Sifne, Bahzan, and other heavily Assyrian populated towns in the area thus disenfranchising hundreds of thousands people. In the U.S. alone, tens of thousands of Assyrians in San Jose/Central Valley, San Diego, and Phoenix had to drive hundreds of miles on two weekends - first to register and then to cast their ballots - because West Coast Assyrian heavy centers had no voting stations. • Formation of a special UN committee to investigate fraud during the recent Iraqi elections. • Immediate end to the KDP terror against Assyrians in Northern Iraq, including Mosul and Kerkuk. • Creation of a Self-Administrated Region on the Nineveh Plains to preserve and protect the history, language, and culture of the indigenous Assyrian Christians. • Constitution protection for the Aramaic/Syriac language of the Assyrians - the last global entity capable of preserving the oldest language of the Middle East. Iraq is not and can never be a free and democratic state without adequate representation for the All IRAQIS. A true democratic process protects the rights of all minorities and does not seek to eliminate the indigenous population. The Assyrian Basketball of California league was founded in 2002 and is a group which congregates male and female Assyrian youth from all over California and afar including Sacramento, San Jose, Modesto, Turlock, Los Angeles and even Chicago, through the sport of basketball. With two years in progress and moving on to our third season, the ABC has come to be known as, "the most successful, unifying Assyrian sports event in Assyrian history" and with your TAX DEDUCTIBLE donation, we can continue to advance and maintain this league. We currently have ten men’s teams and three women’s teams and we hold events four times a year all throughout California during the months of February through August. Maintaining a league can become quite costly, however, with your help, the load can be decreased and the end result can be a huge success for you and for the league and its participants. Our primary sponsor, St. Mary’s Church of the East in Los Angeles, has agreed to work with the ABC to raise funds so that we are able to provide money for gym usage, referee officials, trophies, entertainment, transportation, hotel accommodations, etc. This is where your help comes in. The ABC is set to initiate its third season in February 2005 and we are expanding our efforts to include businesses and members of our communities throughout California, requesting contributions and sponsorships for the upcoming season. You may wish to contribute as little or as much as you are able, noting that, as a sponsor contributing between $300 and $500, you will receive a sponsor plaque to display in your business and special recognition at the opening ceremonies on February 19th. If you contribute more than $500, you will be entitled to what is stated above as well as an advertisement of your business on the much visited ABC website (www.assyrianbasketball.com) for three months and a sign advertising your business in the gym during our events. If you wish to be a sponsor as a member of the community rather than as a business owner, we will gladly accept your sponsorship. All sponsors will receive updates throughout the year as to how the league is progressing and information on upcoming events. We hope that you consider our request for your sponsorship and we feel that this is a great opportunity to get your business name out in front of the members of our community, while supporting the Assyrian youth in this unifying process. Remember, your check is tax deductible and you can make it out to: “St. Mary's Assyrian Church of the East” and be sure to write “ABC sponsor” in the memo section of the check so that the funds are allocated to the ABC accordingly. Thank you, in advance, for your support! Should you have any questions or concerns, please feel free to contact us via email at AssyrnBasketball@aol.com . The ABC participants of your community thank you! What must we learn from the results of the Iraqi elections? How and why did the earlier promising gains of Slate 204 (Rafidayn National Coalition) dissipate all for a sudden in the elections? How do we hold people in sensitive positions, those who install themselves leaders, and those who are making the wrong decisions on behalf of the Assyrian people responsible for the mistakes they make? I have asked the following question repeatedly, who authorized, for example, Sargon Dadesho, Ishaya Isho, Romeo Hakkari, John Nimrod, Younadam Kanna, Joseph Kassab, abd al-Ahad Afram, Fou'ad Bodagh and others to speak on behalf of the Assyrian people (also known as ChaldoAssyrians, Chaldeans and Syriacs). Did the Assyrian people elect them to speak on their behalf, and most importantly, are they transforming the aspirations of the masses? Could any newly established group of few claims at any given time that it has the right to speak on behalf of the people? Could I and few friends form a new group tomorrow and call it for example "Patriotic ChaldoAssyrians for Assyria" and demand that we be part of all meetings, local, national, and international involving Assyrian matters? What differentiate many Assyrian groups that exist today from this new group? Why they could speak on behalf of the Assyrians and I could not in the international discussions? It is simple; a group must show a record of accomplishment to be worthy to take such responsibilities, especially when we have no elections to represent such representatives. How much damage, if any, did the above individuals and others cause in the last few years to the Assyrian cause? Fact is that among all the Assyrian groups in Iraq and the Diaspora, only the Assyrian Democratic Movement (ADM) could claim that it is elected by at least a segment of our society and thus has the legal right to speak on behalf of part of the Assyrian people, which elected it. Only the ADM has a worthy list of accomplishment. The ADM has participated in the regional north of Iraq elections in 1992 and won convincingly the support of the Assyrian people in the region. However, many foreign groups, including the Kurdistan Democratic Party (KDP) under the leadership of Barazani, continue to interfere in Assyrian affairs. The newly empowered Kurdish groups continue to promote puppets from within the Assyrian society to undermine this elected leadership and Assyrian national dreams. The Kurds have succeeded to keep the Assyrians busy with their internal disputes and thus valuable time was wasted on unnecessary matters whereas other important issues were not attended extensively. 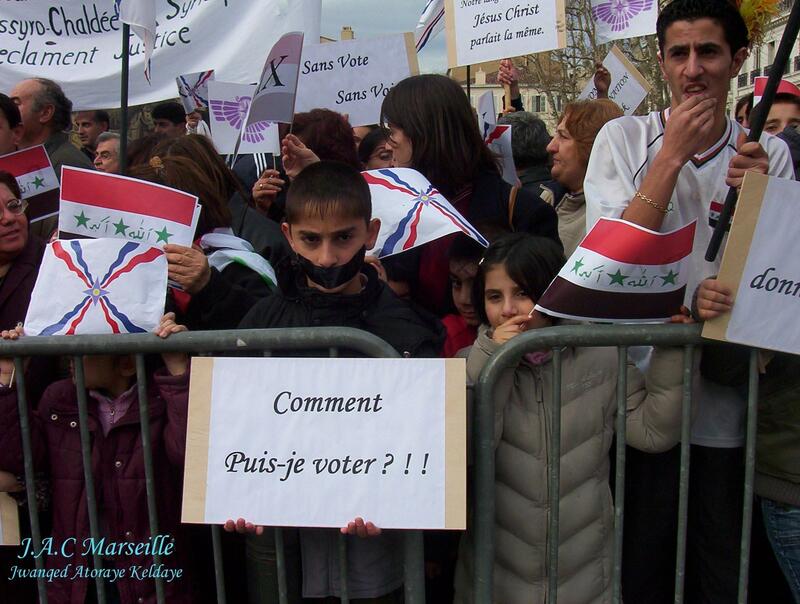 It is for this reason that when the elections were announced, Assyrians were not ready for them. The disputes were still there and last minute temporary patches were not capable to heal deep wounds. We kept putting many important issues off and we looked for a miracle to resolve those problems during the elections. It was just not possible for that unity to materialize in such circumstances. The elections were a complete failure for the Assyrians in Iraq. Others have an optimistic look and say but the ADM won a seat even when for example a sophisticated and experienced politician and diplomat like Adnan al-Pachachi or the Sharif Ali of the Monarchy Movement failed to get the 30,000 votes needed to guarantee themselves a spot in parliament. I do not want to get into that argument here because it is too complicated. 1. The hesitation of many in Iraq, especially in Baghdad and the city of Mosul, from participating due to fear. 2. The abstention of others due to discontent from the completely bleak picture. 3. The general psyche of the Assyrian people as non-trusting and that such process could not be fair. 4. The general feelings of apathy. 5. The distribution of our votes on many lists and non-unity. While the ADM's work is very admirable in Iraq, and has been for decades, a decision in this campaign was poorly calculated. I hope that such mishap shall be dealt with better in the more importantly anticipated December 15, 2005 elections. The ADM had a strategic partner with the Chaldean National Congress (CNC) in Iraq. The CNC claims that it demanded repeatedly that its Secretary General in Iraq Mr. Fou'ad Bodagh be placed second instead of fourth on the slate behind Mr. Younadam Kanna, the Secretary General of the ADM. Of course, Mr. Kanna deserves to be on the top of the slate because of his position and activities in the last 25 years in the political and national struggle in Iraq. There was a critical decision to be made here, what should the ADM do? Keep ex-Minister Behnam Polous Zaia, who has close relationship with His Beatitude Mar Emmanuel III Delli, the patriarch of the Chaldean Catholic Church, in the second slot or replace him with Mr. Bodagh. The third slot has to be for a woman per the rules set forth by the Independent Electoral Commission of Iraq (IECI), where every 3rd, 6th, 9th, 12th and so forth on every slate must be a woman. Thus, the problem was which of the two should occupy second and fourth slots. The ADM and Mr. Younadam Kanna miscalculated here in my opinion and bet on Mr. Behnam Polous Zaia. The CNC waited few days and then suddenly dropped the bomb, which was not a patriotic move on their part as well. The CNC issued a statement it which it announced that it was withdrawing from slate 204. The CNC did this only couple of days before the elections when everything was looking promising for 204 and it was expected to win many seats. Mr. Younadam Kanna won a seat in parliament because our people voted him in. However, the numbers prove that many members of the Chaldean Catholic Church did not vote, while others voted for Itahad al-Sha'ib slate 324 (the Communists). Unfortunately, Shamiran Marogil Odisho and Dr. Hikmat Dawood Hakim on slots sixth and seventh of slate 324 did not win. Slate 324 did not win enough votes (not even 100,000) for these two individuals to a chance. Of course, our people did not vote for Abd al-Ahad Afram (Chaldean Democratic Union Party) and neither for the other three: Goriel Mineso Khamis, Salim Potros Elias, and Jacklin Qosin Zomaya. These four won because they were part of the Kurdish slate 130. The Chaldean Democratic Union Party slate of Afram won only an embarrassing few hundred votes in Iraq and abroad. Despite his win, Mr. Afram might lose his seat because his name was on two different slates, his own and the Kurdish slate. This was against the election rules. Mr. Afram can cause great damage in parliament, as he will challenge Mr. Kanna's attempts to unite our people in Iraq or use one name to refer to them. The Kurds will use Afram to disrupt any efforts and recommendation of such unity in parliament. Even if Afram is gone, and the resignation of Salim Potros Elias is confirmed (Read News Digest, Zinda 18 January, 2005), there are still two more Christians that were included by the KDP and PUK on their winning slate; they could cause much damage and division. The other Christian in the Iraqi parliament Wijdan Michael is considered as an independent. The members of the Chaldean Catholic Church in the United States did not vote heavily for 204 as was expected. It seems that the withdrawal of the CNC had a negative impact. At the same time, there was an anemic Christian showing in Baghdad and the city of Mosul perhaps due to security, and I personally blame the community for that since other groups did not mind the threats. In addition, there was the most damaging reason of preventing the Assyrians from voting in Nineveh Plain. How to deal with Bodagh and Polous was a tough decision, even if and logically so, was the safe decision to make under many circumstances. While this was a strategic mistake, the activities of other self-appointed leaders are much harmful. Attacking the leadership of Mr. Kanna on AssyriaSat satellite TV so viciously for several months if not a year and more, in the manner it has been conducted, is a political assassination for the Assyrian cause. Attacking Mr. Kanna so passionately and for so long have discouraged many Assyrians and broke their spirits. They have distanced themselves from national issues as the negative propaganda made them lose their trust in their leadership. This could be one reason why many did not bother to vote. When can a leader of a group speak on behalf of the community? What should the threshold in the number of registered membership of any group be in order to give the leader of that group the legal rights to speak on behalf of the community? If an Assyrian group is collecting grants from government to promote Assyrian cultural issue, should that group be allowed to use that opportunity and attack other Assyrian groups? If someone is self appointed leader through the formation of a group consisting mainly of family and friends or a small tribe, what holds the community from suing such individuals and thus prevent him legally from speaking on behalf of the people at large? In case that elections are not feasible to vote for leaders and programs, the least these self-appointed Assyrian leaders should do is present certain agenda to the people and let the people decide on them, whether via mail, e-mail, or any other reasonable manner. These self-appointed leaders do not have the right to discuss Assyrian national matters in international forums while presenting their personal recommendations and solutions only. We have lost a battle in the January 30, 2005 Iraqi elections to elect the 275 members of national assembly. The Iraqi national assembly will begin now to draft the Iraqi constitution and present it to the people for approval by midyear. 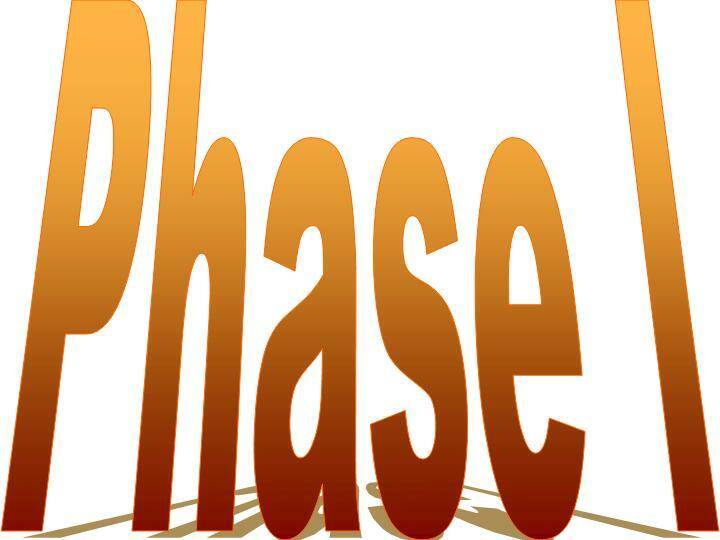 If approved, new elections will be set for December 15, 2005. How are the Assyrians going to prepare for these elections? How would they present themselves in those elections? We need to look at the Kurds and learn a lesson from them. It is not shameful to learn from one's enemy when the enemy is doing the right things and progressing. Assyrians must begin today to prepare for the December 15 elections. A national conference, in which all political groups, cultural and civic institutions, notables, churches' representatives, and scholars be gathered to set the foundation for a united list to enter those elections. We cannot accept anything else. We cannot accept this chaos to continue. Finally, the Kurds are investing millions in the Nineveh Plain. If we did not do something right away, the Kurds will soon take over the economy in these Assyrian towns and villages and when that aspect of life is controlled, we can say goodbye to Assyria, as the new reality will dictate its presence. Assyrians in the Nineveh Plain had suffered enough for 80 years and economy is the window that the Kurds are beginning to use to infiltrate the last Assyrian stance in Iraq. Only through our unity, we might defeat the Kurdish plans. Think about it, but do not think for too long since time is running out. Because of the security conditions in larger cities like Baghdad and Mosul, hundreds of families have left their homes for the villages and towns in the north and are seeking security & peace. They live with their poor relatives and friends. It was our humanitarian duty to support them when they were in need of any type of support. We prepared a relief program to cover some basic needs for about 1,000 family. The program included distributing food, blankets, fuel for heating in the Sapna area, Zakho area, Barwaribala area, Dohuk city center, and Aqra area, Hazarjot, Mulabarwan, within Dohuk governorate. Bakhdaida, Baritla, Alqosh, Telisquf, Ainsefny, Biqopa, Jambor, Baashiqa, and Batny within Nineveh Plain. It is very important to mention that the Assyrian Aid Society continues this program and the number of such families is increasing. AAS presents different types of assistence to needy families in different areas, according to applications presented to our society. One such program is taking care of the handicapped people in Kirkuk city by providing them with wheelchairs and other needs. After the liberation of Iraq, as a humanitarian organization we were allowed to work in the areas once under Saddam's control as in the Nineveh Plain villages. After implementing a relief program in this area, it was very necessary to establish charity clinic centers to introduce medical services to needy people for a long period. These charity clinic centers present their humanitarian services to needy people in Alqosh, Baritla and Bahkdaida within Nineveh plain and in Sarsink, Sapna area. Establishing a new charity clinic center in Telisquf. Bearing or Sharing in the costs of treatments of kidney transplantation for Mr. Dany Awia Yonatan from Baghdad by a special fund from the Assyrian American council of Illinois-Chicago. Covering the costs of treating a woman from Musol city suffering from cancer. There are seven villages in the Nahla region, all suffering from absence of a medical center needed for the treatment of the more critical cases such as accidents or personal injuries. The roads were not paved until now. The solution was to built a special building for this purpose in the Bilmend village which is in the center of the Nahla region. After referring to the Ministry of Health to insure us that the building, the medical instruments and workers would be provided, we started the construction on April 28th and finished on November 25th. The building area is (178) meters2, consist of 4 rooms (4×4)m, a store (4×3)m with bathrooms. The town has been suffering from drainage problems for several years. The seweage and rain water flood the streets. The solution was to lay pipelines to transfer the water out of the town. The work began on 25 February and included laying concrete pipelines of 350m length and constructing eight concrete septic tanks of (2× 2×2)m.
Cleaning the main channel from debris using excavator for 1500m length. Perform a regular concrete channel in high discharging of 200m length. Providing regular concrete passage in different dimensions in width of 3-5m. Constructing a road of 100m length 7m width. Department for Missions-Ecumenical Relations & Church Development Services. The work started on 9 April and was finished on 1 May. 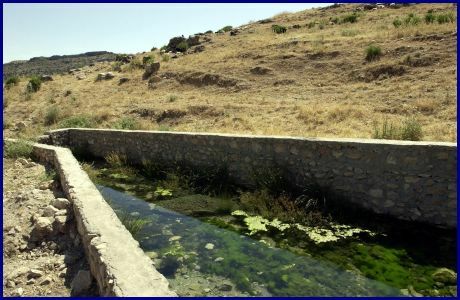 The project included cleaning the channel of 3500m length by using excavator & building stone walls, building a bridge for passing 20× 8m by using plastic pipes of 1m diameter. The (CPA) built 21 new houses in the Drabon village. Each house consists of two rooms, the village people asked us to add a room to each house. We started building additional rooms (4.5×5)m2 for each house. 40% of the total work is complete. After establishing a Assyrian high school in Nahla region's Hezany village, two old houses were renovated for this purpose. The houses of of (160)m2 size. Repais included casting of the roofs, plastering, sanitary, electrical, and painting. Started on 1 October and finished on 12 December. Repairing the sanitary facilities at the Hizany School, providing two water tanks and a new water net. Building a fence for the school of 150m length. Preparing the pipelines and other equipments, to start implementing irrigation water project in Chaqala village, within Barwaribala area, after winter season. Cleaning the ruins in Dawoodia village, Sapna area. Building a room for the generator in Margajia village, Barwarlbala area. Sharing in the building of a house in Mullabarwan village, Aqra area. Repairing the doors of Mar Georges church in Sheoz, Sameal area. Supporting Assyrian schools in the Dohuk, Arbil, Kirkuk, Nineveh Plain and Baghdad, including salaries to the lecturers, helping needy teachers, and providing some basic needs for the schools. Covering the transportation costs of all students and teachers. Covering the costs of Assyrian Teaching Committee in organizing different types of educational activities, including recognition of the honor students. This support is provided during the entire teaching season. Honoring Nisibin graduating students depending on a special fund from Chaldean Federation of America & Chaldean Ladies of Charity. On the occasion of Christmas & New Year, distributing gifts for students in Bahra school in Kirkuk, Komany, Dori, Nahla & Bakhdeda Assyrian schools, depending on a special fund from Assyrian Aid Society-Sweden & a group of supporters in Chicago. Providing Assyrians schools in Bakhdeda & Einsfny with two buses for the students transportation by special fund from AAS-New Island. Covering the costs of housing and meals for 120 students in the Nisibin dormitories. Paying monthly salaries to the lecturers, bonuses for teachers, dormitories supervisors, and workers. Sharing with Ministry of Education in covering the costs of transportation of the students and the teachers . Through Assyrian Student & Youth Union, AAS covers the expenses of housing and meals for about 180 students from Erbil & Duhok universities & institutes. * Evangelical Lutheran Church in Stuttgart , Bavaria - Germany . Continue supporting the Day Care Center in Ankawa and Duhok. Supporting the Union in publishing (Nahreneta) newspaper. In addition to other supporters, our society Support the Union in achieving its different activities, most importantly were: Training course in nursing, sewing, teaching languages & others in Baghdad, Kirkuk, Bakhdaida, Bartila, Alqosh - within the Mosul governorate, Erbil, and Duhok governorate. Supporting the Assyrian Student & Youth Union in publishing Mezalta, its monthly newspaper. Supporting the Assyrian Student & Youth Union in achieving its different activities, in Baghdad, Nineveh Plain, Erbil, Duhok. Supporting Cultural & Athletic centers in achieving different types of activities. Building a Youth & Cultural Center in Bartila with funding from AAS-America, and building a Youth & Cultural Center in Telisquf with funding from AAS-Australia.